When a smartphone vendor comes along and offers its latest option as a “flagship killer”, it doesn’t exactly leave much room for leeway: it’s either going to be accurate, or off the mark. On paper, the OnePlus 2’s case seems to be solid, so let’s take a hard look at it and see if its promises are lived up to. When the OnePlus One hit the market in early 2014, it was a smartphone that came out of nowhere from a company that came out of nowhere. OnePlus was founded a mere five months prior to the launch of the OnePlus One, and given the hype that seems to follow the company around, it certainly seems to be experiencing an expedited journey. No one knew how the OnePlus One would be received, but it took little time to figure it out. Before long, both the device and the company itself gained a strong following of fans, and when the time came for the OnePlus 2 to get pushed out the door, the level of hype was enviable of any startup. Given the success of the company’s original phone, and the touting of this second one being a “Flagship Killer”, it’s clear that OnePlus is willing to do whatever it takes to secure as big a piece of the marketshare pie as it can. But, let’s not beat around the bush: “Flagship Killer” is quite the promise. Can a $329 phone really make people forget about the crop of higher-end ones available? Perhaps, and there’s a good reason for it. Since smartphones became a de facto device in our lives, their hardware has evolved rapidly. 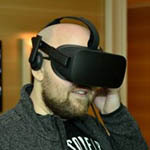 While it can be argued that things are beginning to slow down a wee bit, at least on the CPU side of things, today’s modest hardware will run circles around top-end hardware that came out just two years ago. That’s a sad thing for those who like to have the best hardware all of the time, but it’s amazing for those who don’t want to shell out $600 or more for the latest and greatest when it’s only marginally “better” than a device half of the price. That’s largely what we’re dealing with nowadays. A couple of months ago, I took a look at ASUS’ ZenFone 2, a $200 option that’s simply mind-blowing in comparison to $200 phones from two years ago. Who says tech is too boring nowadays? For its price tag of $329, OnePlus promises to deliver a smartphone that will feel and perform “high-end”. It of course sports a lot of hardware to help back that up, including an eight-core Qualcomm Snapdragon 810 processor with Adreno 430 graphics, a 5.5-inch 1080p IPS display, 4GB of memory on the 64GB model and 3GB on the 16GB model, dual-band Wi-Fi, Bluetooth 4.1, a 13 megapixel camera at the back, and a beefy 3,300mAh battery. Another perk worth noting is that this phone also supports dual SIM cards and utilizes a USB-C connector, effectively meaning there is no “upside-down” with regards to the connector. Notable features missing on this phone include NFC (OnePlus says that not enough customers used it on the OnePlus One), wireless charging, FM radio, and a microSD slot. The latter of those confuses me the most, as being able to expand the storage is something I want to do on any mobile device I own. 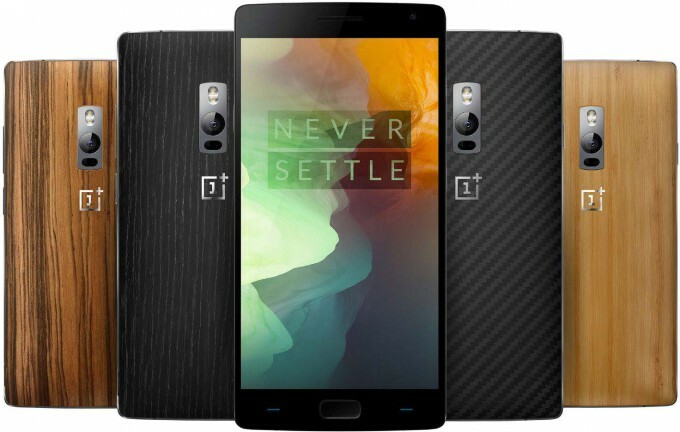 Like the ASUS ZenFone 2 I took a look at back in August, OnePlus 2 comes in a 5.5-inch form-factor, and with its 401 pixels-per-inch resolution, there’s a lot of crispness gracing its display. One thing I complained about on the ZenFone 2 was its plastic back, because it just didn’t feel that durable overall. The OnePlus 2, by contrast, feels far more durable, and despite that, it weighs only 5 grams more, to settle at 175g. I don’t often feel compelled to snap a photo of a product’s packaging to share, but OnePlus 2’s seemed neat enough to share. The box itself is quite rigid, and has a smooth textured feel. After pulling the top off, the phone is revealed; under that, you’ll see a neatly-organized charger. On the topic of the cable that’s included with this phone, OnePlus has recently come under fire for it being out-of-spec. While it’s suitable for this particular phone, it might not be safe to use with other USB-C devices. While it seems likely that OnePlus will replace the cables for future shipments, only those who purchased this cable separately from the device will be able to get a replacement for free. Let’s take a tour of the OnePlus 2, shall we? The first shot in the slider above shows-off the phone’s USB-C connector as well as its home button, which doubles as a fingerprint reader. The audio out port is at the top of the device, while the power is on the right-side, nestled underneath the volume rocker. On the opposite side of the device is a notifications button, allowing you quickly mute all notifications or just the unimportant ones. One nice feature of this phone worth calling out is the textured back, which makes it very easy to grip. This back is actually very thin, and can be pulled away easily with the help of a little notch on the left side of the phone. After it’s taken off, it can be replaced with a different one. OnePlus itself sells a handful of different backs, with examples seen at the top of this page. As mentioned earlier, the OnePlus 2 supports two SIM cards, of the nano variety. Overall, the OnePlus 2 is a great phone from a design standpoint. It’s aesthetically-pleasing, and easy to grip. It also feels very durable, which is a definite plus. On the next page, we’ll see if the software solution is as high-quality as the hardware.